From Adolph Hitler to Bashar al-Assad and Kim Jong-un, the world has always had its share of fearsome dictators—political leaders who wield absolute power and aren’t afraid to use it. Oppressive and megalomaniacal, these tyrants have often used their control to commit unspeakable crimes against humanity. 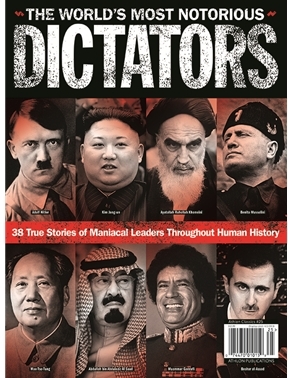 In this special we will look at the shocking history of these demented autocrats, their atrocities and how most were eventually overthrown and brought to justice.